Following the withdrawal of the Youth Offer Funding for 2018/19, support groups for young LGBTQ+ people on the Isle of Wight face closure. Breakout Youth, a small Hampshire based charity, first came to the Island in 2015 as part of the Youth Offer, where buy alprazolam http://www.mysuitesandco.com/PHARMAZONE/alprazolam/ PHARMAZONE : New Place for Buy Alprazolam – Fast Shipping Low Prices the charity provided the delivery of free and confidential fortnightly support groups for LGBTQ+ young people, in addition to one-to-one support and teacher training. Such services have provided an essential support network and a safe place for vulnerable and isolated LGBTQ+ young people, helping them to explore and resolve issues affecting their lives. However, towards the end of last year, Breakout Youth were warned of a possible cut to Youth Funding on the Island, and on 5th March 2018, the charity’s fears were confirmed. Following the news that there would be no Youth Offer for after 31st March 2018, Breakout Youth have been working hard to seek new and additional funding. The Trustees of the youth charity will be using limited reserves to extend the support groups on the Isle of Wight for a further 2 months, however the fate of Breakout Youth on the Island looks bleak. This is bitterly disappointing for Breakout, as it comes in the year that UK Pride is set to take place on the Island (after hosting its first ever Pride Event in 2017). 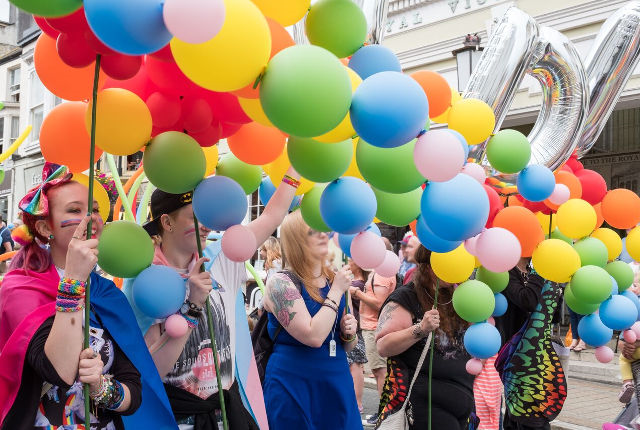 The Islands bid to host UK Pride had the backing of veteran LGBT activist Peter Tatchell, and the Isle of Wight’s MP, Bob Seeley. Also, this event is being supported by the IOW Council and sponsored by Red Funnel as well as numerous Island based organisations. With this in mind, if you would like to support Breakout Youth and the future of LGBT services on the Isle of Wight, then please do visit www.everyclick.co.uk/BreakoutIOW or get in touch: hello@breakoutyouth.org.uk 02380 224 224.